An experienced marketing professional with a proven track record of delivering strategic global plans, commercial propositions and compelling engagement at both regional and head office level, and across all grades up to and including C-suite. Rail Analysis : We believe that you are the Global Marketing Director, Bentley Systems. Can you please give us a brief idea about your past since the year 2000? 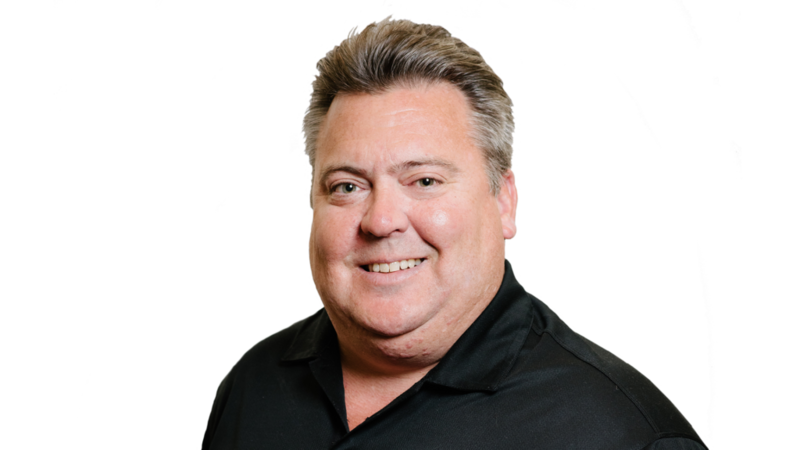 Mr. Steve Cockerell : Prior to joining Bentley® Systems in 2002 as part of its acquisition of Infrasoft Limited, I was responsible for Infrasoft’s marketing programs and initiatives with our international resellers channel. I was also responsible for the company’s training business in the UK, which delivered a mix of online and on-premises courses relating to MX software. One exciting project I was involved with was helping to develop and launch Arenium. This was ground-breaking stuff. It was an engineering collaboration platform that enabled multi-user access to 3D MX design models. It paved the way for technology that is now commonplace and supports the digital BIM processes and standards now demanded by governments around the world. With Bentley, I play many roles working on a team that delivers knowledge and expertise to our transportation users around the world. Having studied civil engineering and worked as a highway design engineer for local government in the UK, throughout my time with Bentley I have always looked to leverage the 25-plus years of industry experience I’ve gained to help develop and maintain its position as a leading supplier of software and services to the world’s road and more latterly the rail infrastructure community. As industry marketing director, my focus is entirely on the rail and transit sector. In 2017 at our annual Year in Infrastructure user conference, I helped launch OpenRail™, an integrated set of applications that in concert with Bentley’s Connected Data Environment, helps owners and their supply chains to work smarter, achieve different and improved outcomes, and transform how rail networks are planned, built, operated, and maintained for the future. Rail Analysis : What exactly are the objectives of M/s Bentley Systems to accelerate the development for a growing economy such as the Indian market? Mr. Steve Cockerell : Bentley’s mission is to provide innovative applications and services for the enterprises and professionals who design,build, and operate the world’s infrastructure, and in doing this help sustain the global economy and environment, for improved quality of life. While mission statements always sound quite idealistic to me, I think that with the increasing levels of urbanization expected throughout Asia, and in India particularly, Bentley has its part to play. Because the quality of a region’s infrastructure is a key indicator to its economic success, connectivity, and the well-being of its people, our primary objective is to help those responsible ensure that the benefits are shared and enjoyed by all. So, as an infrastructure technology provider, and trusted partner to many organizations in India, Bentley is helping with enabling strategies for going digital in three main areas, which we hope can deliver significant value for the country. The first is to ensure we play our part in accelerating our user’s digital advancement. The organizations that we work with, particularly in emerging economies where rapid delivery of new or improved infrastructure is a critical component to meet the capacity demands, it is no longer enough or acceptable to do things the way we always have. Something has to change and, understandably, organisations are looking to digital technology for the solution. Through the programme, the government of India is drivingdigital adoption for the benefit of infrastructure projects as firms and the professionals working for them are encouraged to embrace its potentially positive change. Bentley is working very closely with its users to set them up for success and maximise the return on investment they are making in our software. Secondly, we are helping to industrialize project delivery. Through our “open” and integrated applications, we ensure that standards and best practices are adhered to on one project and propagated across many. These standards and best practices automate the processes and methods owners and their supply chains need to deliver capital projects. Moreover, Bentley applications increase repeatability, scalability, quality, and predictability, so that organisations can replicate their best projects’ successes. Lastly, we provide a framework and digital platform to improve “information mobility” among stakeholders and across the phases of an asset’s lifecycle. From planning to performance, the organisations and professionals working for these stakeholders need timely access to information they can trust to make the right decisions. Decisions are made on data and Bentley’s Connected Data Environment (CDE) enables users to leverage the engineering data or the “digital DNA” of a project to make better, more informed decisions. 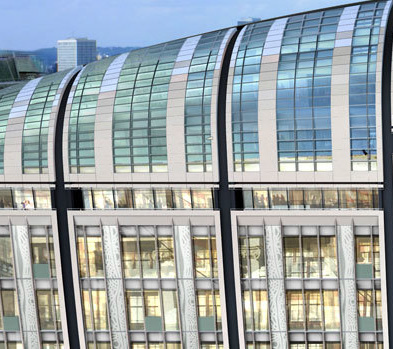 Put simply, Bentley’s design applications help teams to get it right first time, every time! Rail Analysis : As you are aware more than 600 Railway Stations are to be refurbished and re-developed into world class stations. How can your company’s technology benefit the builders who are winning the contracts? Mr. Steve Cockerell : On new projects, it’s the stations that are often the focal point of those that will use them. 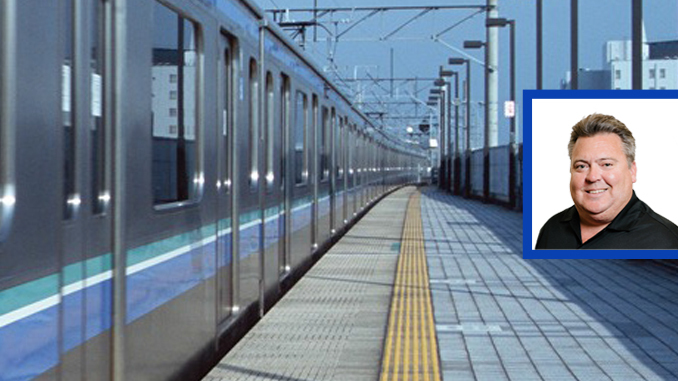 On network refurbishments of metro or mass transit, high-speed rail, or commuter rail networks, the stations are a major stress point for safe, reliable operation. At our annual Year in Infrastructure user conference held in London, for example, Bentley launched OpenBuildings™ Station Designer, which incorporates all of the capabilities of Open Buildings Designer to help organisations design, analyze, construct, and manage buildings of all types and scale. Open Buildings Station Designer is part of our OpenRail™ solution and it leverages the collaborative digital workflows of other applications, including templates for tunnel segments created with GenerativeComponents based on linear alignments from OpenRail ConceptStation and/or OpenRail Designer. OpenBuildings Station Designer bridges the gaps that can exist between disciplines and geographically distributed teams to provide faster delivery of stations with greater confidence in the design, deliverables, and constructability. A fundamental design criteria for infrastructure assets, including train stations, is the flow of pedestrians, and to address this need Bentley announced the acquisition of LEGION software at the Year in Infrastructure. LEGION’s pedestrian simulation application supports more than half of the world’s 40 largest transit agencies and offers modelling capabilities of people’s interactions with each other and physical obstacles and activities, such as circulation and evacuations, within any public space like railway stations, including at street level with vehicle interactions. Using LEGION’s innovative pedestrian modelling capabilities within OpenBuildings Station Designer is a great example of the collaborative digital workflows our Open Rail solution supports. 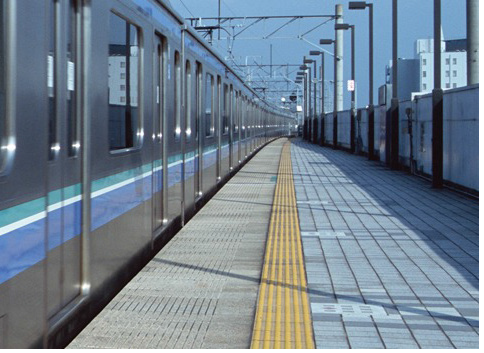 Augmenting already comprehensive and robust design capabilities, this combination will enable owners to explore, validate, and improve pedestrian movement when designing new stations. And, when redeveloping stations, the application ensures they remain fit for purpose for years to come. Rail Analysis : Some of the stations to be developed are given to the builders on lease model, whereby they are given 50 to 100 acres of land surrounding the station and the builders are free to make residential and commercial buildings, what contribution can your company make, so that the builders can optimise the usage of this land? Mr. Steve Cockerell : I see the initiative you mention in countries where land surrounding the stations is given to a developer to improve the environs and related infrastructure. This type of investment cab contribute to the ridership from that location and drive up property values. Bentley’s OpenSite® Designer is a new application that is ideally suited to extracting as much value from a defined parcel of land. Built on MicroStation’s open modeling environment, it provides detailed design capabilities for rapid site modeling and analysis, earthwork optimisation and quantification, drainage and underground utility design, and the automated production of project deliverables. OpenSite Designer exemplifies the multidisicpline workflows that exist on this type of project, which include reality modeling, geotechnical analysis and engineering, underground utility and stormwater drainage design, terrain modeling and grading, and detailed drawing production. These workflows also include high-end visualization, users to share designs with the public and stakeholders to gather feedback, improve public engagement, and speed project approvals. Rail Analysis : It is expected that the Metros from 10 cities at the moment, would be running in at least 20 cities by 2025. What role can M/s Bentley play in the development and control of the Metro network? Mr. Steve Cockerell : Rail is a complex industry. Whether it is a high-speed network spread over great distances or a metro system where related infrastructure within a city adds to the enormous complexity and engineering challenges owners face. There are many different disciplines involved in rail, from civil to electrification, from mechanical to structural, and from signaling to tunneling. During project delivery, civil, structural, mechanical, heating, drainage, lighting, and fire safety engineers all need to share information and coordinate their work, wherever they are based, and within whatever part of line they are working. When the railway becomes operational, those same disciplines will likely still be involved in its maintenance. But, with the challenge of providing a safe and reliable service while large numbers of the travelling public are interacting with the system. The OpenRail solution includes applications that span the whole asset lifecycle, from planning through, design, engineering, and digital construction, to operations and maintenance of rail and transit infrastructure. Breaking things down a little further, the solutions’ foundation is Bentley’s CDE, which is a set of cloud-provisioned services that enable firms to better manage and access consistent, trusted and accurate information. OpenRail’s CDE ensures that the “BIM potential” created through digital engineering models can be fully realised during project delivery and asset performance. Owner-operators and their supply chains can share the benefits of seamless collaboration, improved decision making, and deliver better business outcomes. OpenRail’s holistic approach incorporates systems engineering methodologies through ComplyPro®, which simplifies the delivery of assurance on rail projects, reducing the cost and time typically associated with poor design visibility and build non-compliance. Leveraging data within the CDE, ComplyPro’s progressive assurance capabilities are a key differentiator and allow engineering and delivery teams to manage assurance of the design and delivery process collaboratively over time, reducing the need for costly parallel assurance processes and increasing the integrity, efficiency, and quality of assets constructed. Within project delivery Bentley’s pedigree is earned from supporting the world’s rail and transit community for more than three decades. Alongside OpenSite Designer and OpenBuildings Station Designer, Bentley offerings include OpenRail Concept Station, which enables rail and transit planners and engineers to explore conceptual design options with real-world data and cost analysis at the press of a button. OpenRail Designer provides detailed engineering and 3D design of track, tunnels, bridges, sub-surface utilities, drainage, and related railway infrastructure. PLAXIS, Bentley’s geotechnical engineering application, which can analyse the most complex ground-structure interaction problems, and SYNCHRO, which is driving the construction industry’s evolution from traditional 2D planning and siloed workflows to a highly cooperative and efficient 4D visual planning and virtual design and construction project management process. Moving to operations, the focus shifts from on time and on budget provision of the required assets to safe and efficient running of a railway, and this is where Bentley’s OpenRail AssetWise applications move to the fore. Alongside ComplyPro which provides continuous assurance and greater visibility into asset health during operations, OpenRail Asset Reliability and Operational Analytics draw upon the intelligent data stored and managed within the CDE, to deliver the potential for increased reliability and performance of linear and non-linear assets. With linear assets like track or overhead line, OpenRail Operational Analytics enables information that might include condition data from a track recording vehicle, ground penetrating radar scans, walked inspections, or work history to be seen in registration against a schematic of the network. Asset managers can then review the information, analyse trends within the data, and identify problem areas before making informed decisions to resolve them. With non-linear assets, Operational Analytics offers the potential to use near real-time data from sensors on the asset, to warn when thresholds for either condition or performance are reaching critical states. As we move further toward “big data,” the use of analytics and the so-called “internet of things” will become commonplace in our everyday work. And, a simple example might be a switch in the track. When arriving at work in the morning an asset manager might use a dashboard within OpenRail Operational Analytics to look at readings from sensors across his/her network. Within the data they would see the amperage on this switch is higher than it should be. Using information stored in the CDE the user can then drill into the data, at maintenance records and/or work history to see what corrective measures have been implemented previously, at failure modes, or suggested solutions. Then, using the insight gained and his professional experience, he would select the right course of action, create work orders, and upload them to the enterprise asset management system. Rail Analysis : Do the services, software and technology of your company, bring down the cost of construction and enhance the quality of work, If yes, how? Mr. Steve Cockerell : With my answers to the previous questions I have described how I think the depth, breadth, and scalability of Bentley’s OpenRail solution offers a holistic approach to the challenges encountered across the entire asset lifecycle. From requirements capture to asset disposal, the systems engineering approach we’ve enabled provides compliance and assurance for complex rail project delivery and operations, and in combination with the CDE and our integrated applications help to mitigate risk, increase productivity and quality, and improve decision making to save time and money or optimize the budget available. Bentley’s OpenRail ensures that digital context, data, and workflows become part of a network’s DNA. Through a connected data environment, OpenRail provides timely access to trusted accurate information wherever and whenever it is needed. It builds on existing investments in BIM and enables organisations to take their next step in advancing the railways of tomorrow. When organisations mobilize their data this way, their people are connected, their processes are supported with the appropriate technology, and the professionals involved are empowered to do what they do best, better! This interview shall be covered in our March 2019 Edition Magazine with more details on Train 18 . Click Here to read our magazine or know more on the same.